Can you feel it? Warmer weather is FINALLY on its way! That means more sun and days spend outside. I can hardly wait 🙂 It also means you should think about protecting your skin with a good moisturizer equipped with SPF. 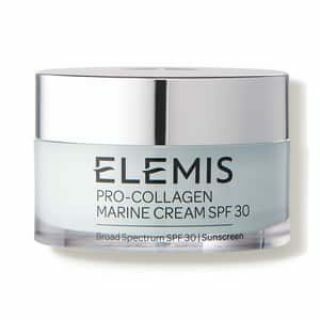 Elemis is offering a Pro-Collagen Marine Cream SPF 30 sample for free. Click here and fill out the form to get yours. Available for a limited time. Allow 4-8 weeks for delivery. It should arrive just in time for that hot summer sun!